Let’s face it, sometimes we want to get away from it all. Are you looking for where to go in Sardinia for when you feel like staying immersed in nature and enjoying more more of the best beaches in Sardinia? Then, visit Isola dell’Asinara. It is not hard to get there: from Castel Sardo or Alghero, go to Stintino. You won’t have any problem in finding a cheap bed and breakfast for one night. 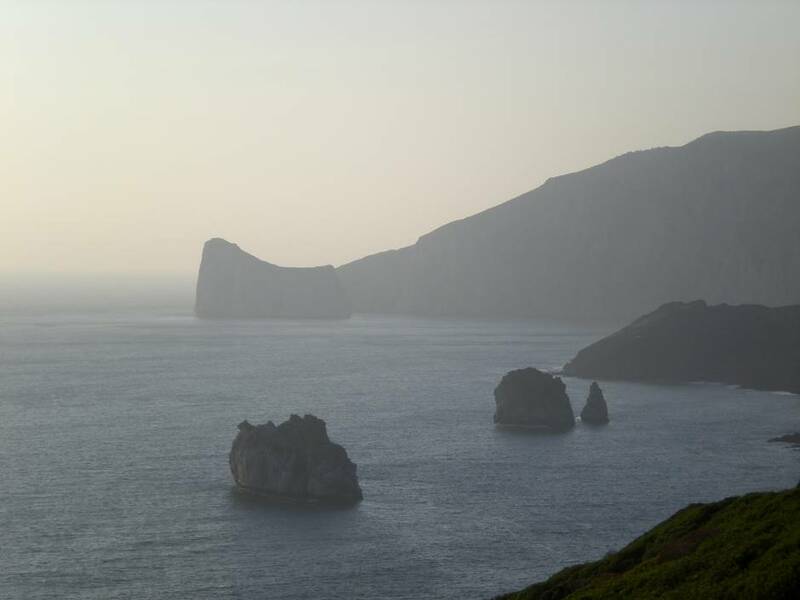 The following morning, hop on a ferry from the harbour of Stintino to Fornelli. My advice if you have little time is to book the guided tour of the island on a jeep (you can look for one of the companies running the tour on the official webpage of the island, which unfortunately is only in Italian). This way you will visit various sites of historical and natural importance, among them the historic jails in Cala d’Oliva and Fornelli, the sanatorium, and the beautiful beaches of Cala Sabina, Cala Trabuccato and Cala d’Arena, where the sea is clean, transparent and full of fishes. This is a protected area so nobody can go fishing. If you have more time, and are looking for more fun things to do in Sardinia, you can go on one of the many free hikes or opt for a biking tour (a bit harder, under the sun!). Finally, Asinara is also great for diving. Asinara was originally a fishing community, which later on became a criminal and leper colony, to be finally turned into a maximum security jail which hosted, among others, mafia boss Totò Riina. It was finally turned into a National Park in 1997. The island made the national and international news when, from 24 February 2010 for over a year a group of redundant workers of Vinyls (a petroleum company based in the nearby Porto Torres) occupied the old prison of Cala D’Oliva in a protest to be returned to their job. My advice is to spend at least one night on the island. There is only one hostel, in Cala D’Oliva. This used to be a guest house for prison guards and it is rather plain, but the atmosphere is relaxing. There is no kitchen use but meals (dinner and breakfast) are included in the price and are consumed family style. You can also have packed lunches. There are private rooms and dorms, all with shared bathroom. The place is clean and the staff friendly, and you will have plenty of chances to get to know other guests. After dinner, go for a walk to look at the stars and enjoy the silence. 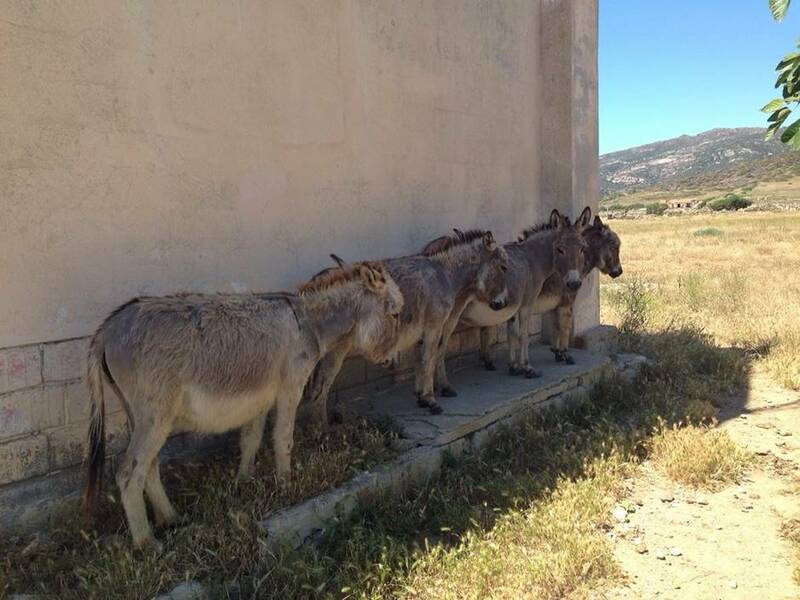 In the only bar in Cala D’Oliva, where guests of the hostel meet for after dinner drinks, you will be soon enough reached by Andrea, a goat who will go around begging for salt and pats; you will see boars walking around, a number of cats and white donkeys. Once you (sadly) leave Asinara, since the ferry lands in Stintino, don’t miss the chance to spend a day in one of the best beaches in Sardinia (as well as possibly the most crowded, to be honest! ): La Pelosa. Fighting for a few centimeters of sand will be the price to pay in order to enjoy the gorgeous, calm sea. But it will be worth it! La Pelosa, one of the best beaches in Sardinia. Or in the world? From Stintino it is fairly easy to reach Alghero, also known as “little Barcelona” for its catalan linguistic roots. Alghero is where to go in Sardinia if you want to feel somewhere yet more diverse. It is vibrant, lively, packed with restaurants and bars, nightlife, it is simply pretty and a must see. Near Alghero there are the some of the most famous (and crowded, but access is free) and best beaches in Sardinia: Le Bombarde and Il Lazzaretto. A bit further away and harder to reach, the gorgeous Argentiera, with its transparent water and its old minerary village behind. Near Alghero there also is Capocaccia, from where you can access the Neptune Caves (you can walk down the over 600 steps, and then back up, to keep extra fit). This is also where you can go on one of the best dives in Sardinia. Looking for what to do in Sardinia on a lazy afternoon? About 40 minutes south by car, there is Bosa, a lovely colorful small town on the river Temo. From the Castle of Malaspina you can admire a great view. There are many hotels and b&bs in Alghero, geared to all budgets: it is a top tourist destination. Book in advance as rooms sell out quickly. 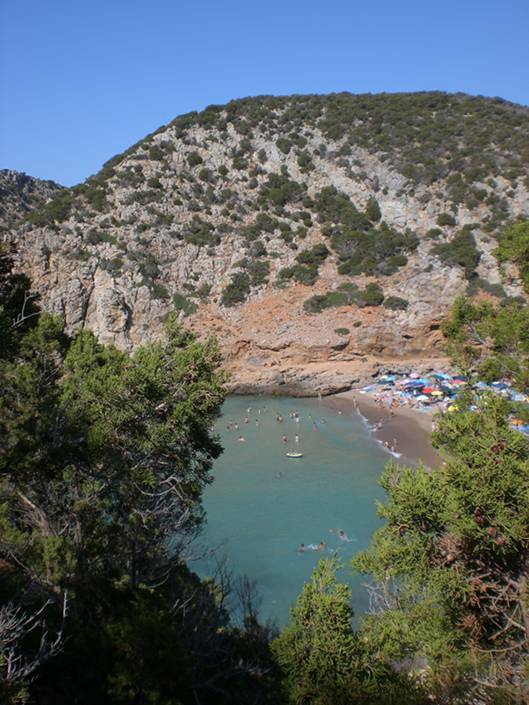 There are also a number of camping sites: among them La Mariposa, Camping Village Laguna Blu, and Torre del Porticciolo. One of the best activities when you visit Sardinia is going on a sunset walk on the beautiful bastion overlooking the sea, and across the small streets of the historic centre, with its many lovely shops and boutiques. You can eat in one of the many restaurants. For a good pizza, go to Il Vecchio Mulino. If you are in search of a romantic atmosphere, Quintilio is right outside town and has a spectacular view over the city, the bay and up to Capo Caccia. Go there at sunset, for an aperitif or for a light (and a bit expensive) dinner of fresh seafood. For after dinner drinks go to Baraonda. Buggerru and Cala Domestica (the latter also offers a beautiful and free trekking through a well signaled path) all deserve a visit, possibly in addition to a tour of the old mines. Last but not least, Porto Pino, famous for its sand dunes. Can someone please tell the author of this post to stop this! I am getting jealous of how nice these beaches look. DAmnit! Doesn’t matter how many “best beaches” posts i read on the different blogs i follow i can never get enough of turquoise waters. Not sure why it has such an effect on me (and i’m sure loads of people with me)… i just feel drawn to it like a magnet. Luckily for me i have chosen to settle down in Tunisia, about an hour away (including boat ride) to the picturesque island of Djerba. Thanks for all the tips, always nice to hear about a less touristy spots. It has the same effect on me! Sardina looks beautiful!! Love your photos!! Thanks for some great tips! Great beaches! The rock formations look great! You should read my other posts to find out where to go in Sardinia for some splendid rock formations then! Asinara and Aruttas are definitely my favorite beaches on this list. I never tire of beach destinations! Sardinia looks beautiful. I visited an old leper colony in Crete and it’s a haunting experience. Thank you very much for do effort to describe Sardinia. I have just planned my Holiday and try to find the best places there. Hello, with a lot of interest i’ve read your blog about Sardinia. Me and my boyfriend are planning to go this summer (end of July/august) with a maximum of 10/12 days. In this time of ten to twelve days we want to see and do the nicest things. But we don’t want to rush. I’ve read about Alghero and would like to visit the city and the nature park and some beaches. But also the south Cagliari looks interesting. Would it be good to go from Alghero to Calgiari and not go to the region of Olbia? What do you recommend to plan our days? Hi Kim, I will be sending you an email about this, it’s better. So do check your inbox!